It kills me to see someone with a nice top and no idea how to fold it. When I bought my first Midget I was fortunate to find the original owners manual only half-consumed by rodents. Even the mice seemed interested in top care, because they'd left those pages completely alone! 1. Undo all six of the interior snaps, then release the two large latches. 6. 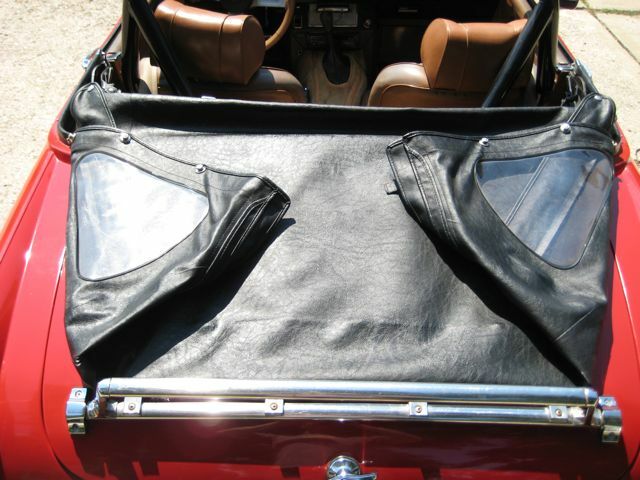 If you've got one, lay the top cover over your neatly folded top and secure the Tenax fasteners and rear snaps. Folded as such, you hopefully won't crease and tear your vinyl windows. This was only partly an excuse to show off my really nice top! Copyright © The AutoShrine Network. All rights reserved. 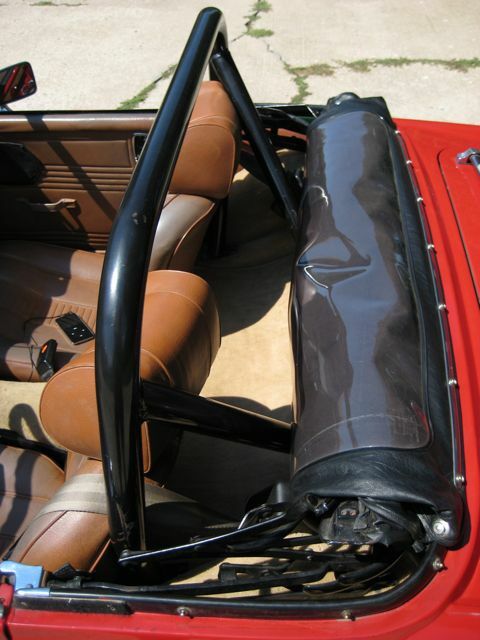 Comments on "Folding the Midget/Sprite Soft Top"
When you say roll the entire top forward and rap around the frame, can you elaborate there a little. stuffed the hood full of bird seed! Thanks for the great article. 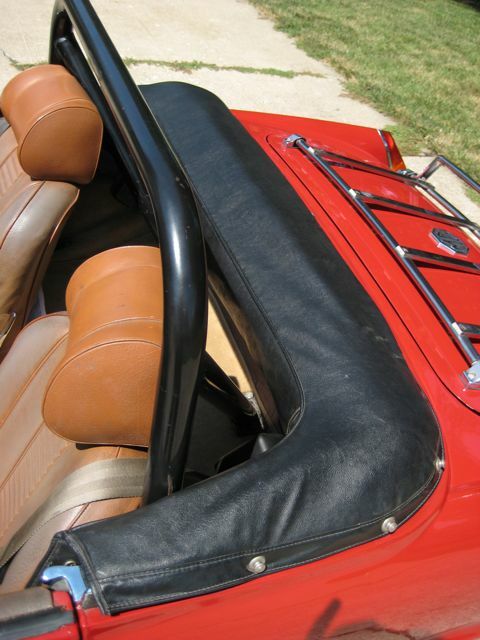 Well done, If you still get creases, lay a medium thickness folded bath towel(long enough to reach from left to right) across the metal bar containing the windshield clamps. This will help cover and pad the metal edges that the vinyl windows must lay over(especially the side triangle windows). When folding in the side windows, make sure you fold so that all of the triangular window is laying on the flattened roof- pay special attention, the folds should only be in the black vinyl area between side and rear window.If done right when you curl over the whole roof/window flap the triangular windows will lay over the bath towel nice and smoothly, and of course the back window will lay smoothly over the folded triangles. 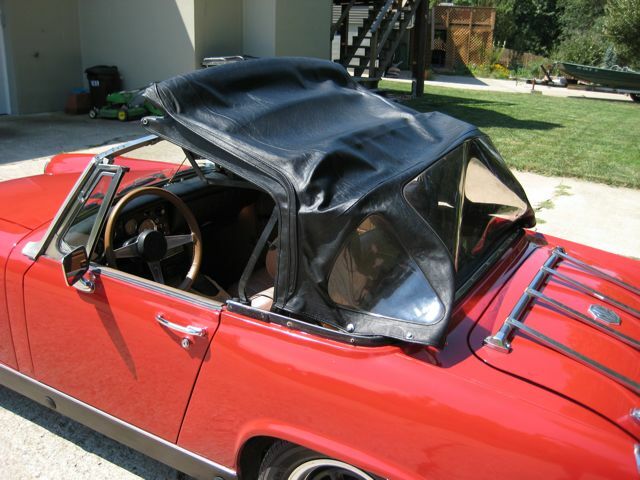 If it is too bulky to get the partial tonneau cover snapped in place, the bath towel is too thick. 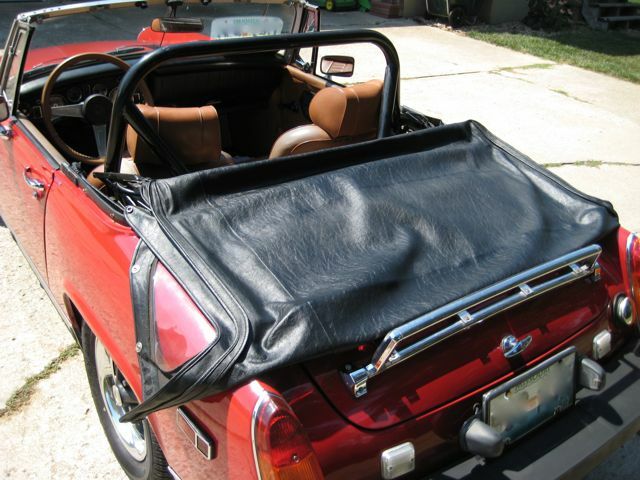 Minor creasing of the black vinyl may occur, but the hot sun will iron it out quickly. I find The metal/clamps are less forgiving if they crease/ dimple the vinyl windows. Thank you, Good to know. In the process of fitting a new roof so will be able to look after this one. This is awesome....thanks for the info...and nice top! Thanks! This was very helpful! Now I want a cover top!